As everyone is coming out of winter hibernation and planning parties, get-togethers, watching sports, or hanging out casually with friends and family, tasty food is a must. 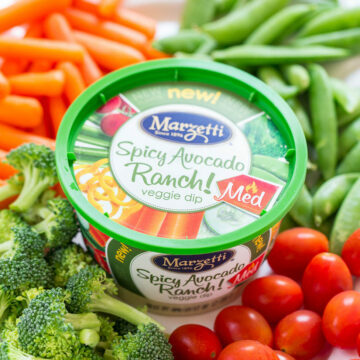 Marzetti® Veggie Dips are a perfect way to jazz up fresh and New Year’s resolution-friendly vegetables. I’m always happy when I go to events and see a healthier choice being served. Plus as the hostess, this is as easy as an appetizer or snack gets. The dips are thick, rich, creamy, and have a great flavor everyone loves. 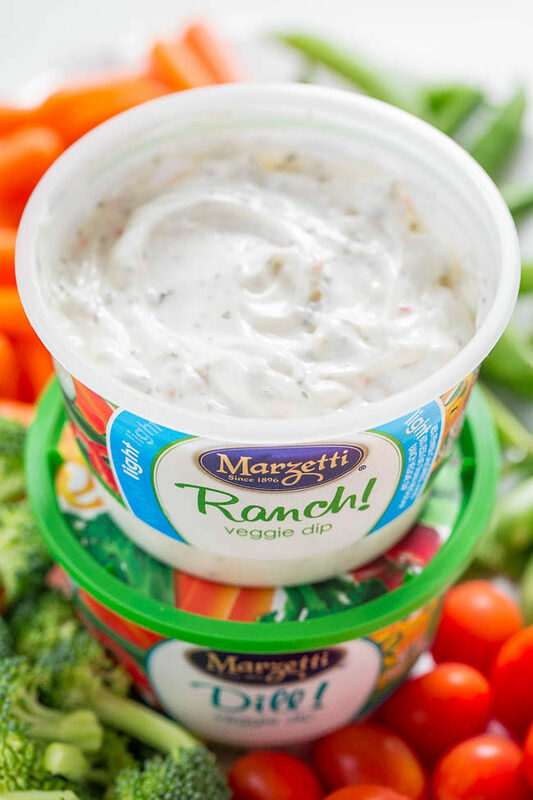 This Spicy Avocado Ranch really enhances the freshness and goodness of some of my favorite veggies like carrots, sugar snap peas, bell peppers, broccoli, and grape tomatoes. It has a bit of a kick which I love. My other favorite flavors include Lite Ranch and Dill. To help celebrate the new year and new you, I’m giving away one $50 Visa gift card to one randomly selected reader (US residents only). To enter, comment below by telling me your favorite vegetable and how you like to eat them or prepare them. Giveaway ends February 1, 2017. Winner will be contacted by email. If you don’t see your comment appear immediately, it’s because I have to manually approve all comments. No need to make a duplicate comment. 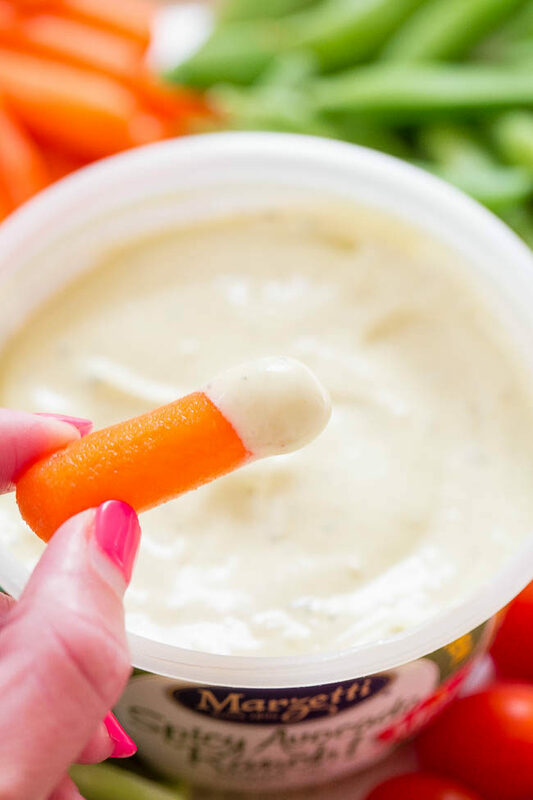 The dip is thick, rich, creamy, and has a great flavor everyone loves. 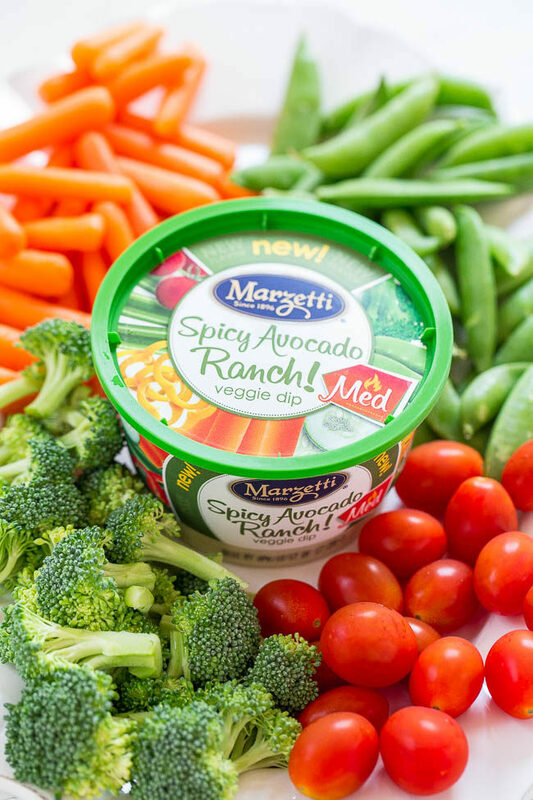 It’s the perfect way to enhance the freshness and goodness of your favorite vegetables. To a large platter or board, place the dip in the center and add veggies around it. Serve immediately. This is a sponsored conversation written by me on behalf of The Marzetti® Brand. The opinions and text are all mine. The giveaway is now closed and a winner has been selected. I like corn with butter. Love broccoli with Greek yogurt dip!